With ADK, an open source project that focuses on privacy, decentralization and scalability, and a network of two African banks and one in Europe, the secure, private and untraceable solution to the problem of a lack of financial privacy can process crypto to fiat transactions in seconds. ADK founder, Ricardo Badoer, now owns 16% shares in Sumac Bank in Kenya and 23% in a Tanzanian bank (official announcement coming soon) and hope to launch an EU-based bank within five months. Badoer is on the board of directors of these banks which seek to create the most crypto-friendly banking network as well as offer remote bank account opening. By having its own EU banking, ADK holders will be able to have personal IBAN accounts and be able to exchange their ADK to Euro and vice versa. Each account holder will also have a free debit card connected to their bank account. Gaming firm Monster Byte Inc. also partnered with ADK to leverage its ecosystem which features a fully scalable, decentralized, anonymous and quantum secure system for transfer of value with zero fees. Monster Byte has since launched their own exchange Nessie with ADK listed on the platform. At the detriment of users’ transaction data which is prone to leaks and improper use, Aidos enables users to spend their cryptos freely without any fear of being tracked or tainted. Aidos is an open source and Quantum secure platform which features zero fee on transactions and is scalable without blocks. Its transaction system is based on a directed mesh with I2P as underlying network layer that protects its users’ identities from being revealed. Its AKshuffle keeps users anonymous and transactions 100% invisible and untraceable. 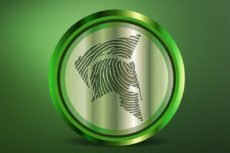 The platform is backed by the Aidos Foundation. Aidos was founded by Ricardo Badoer in 2017. 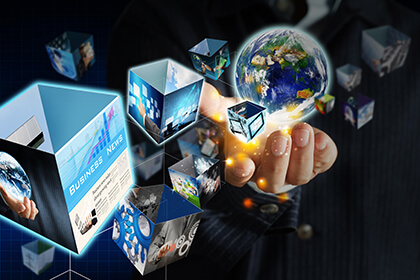 Badoer has more than 16 years working experience in finance, offshore banking and more than 8 years in digital currency trading.